Betting has been suspended by Paddy Power on an Oasis reunion after a number of tweets by former frontman Liam Gallagher. Fans have been getting excited at the thought of the legendary Manchester band getting back together again. Gallagher posted a series of tweets with each one containing a single letter. Beginning with "O" and ending in "S" he had spelled the band's name and he quickly followed those 5 tweets up with a final tweet which read "Oasis LG". The final post has already been retweeted more than 30,000 times showing that there would be massive demand for a reunion to take place. Liam has mentioned a few times in recent times that he is up for "burying the hatchet" with his brother and if that has taken place then it is certainly possible that a reunion is imminent. 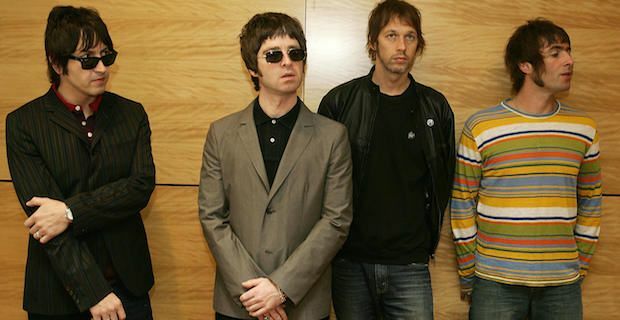 Liam has been busy since Oasis broke up in 2009 with his new band Beady Eye while brother Noel Gallagher has also been involved in a number of successful projects himself. The last time speculation was rife about a possible reunion was after tweets from Liam about a big announcement. That time however, it turned out that the big announcement was the reissue of their first album Definitely Maybe, much to the disappointment of fans who were looking forward to seeing them live again.